NICE UP! are proud to announce another new signing to their ever expanding roster of artists - Escape Roots. Hailing from the highlands of Dumfries, his sound has been slowly taking seed in soundsystems across the land with remixes for artists such as Marlon Asher, Eek A Mouse, Ras Demo, Parly B and more. A firm fixture at Mungo's Hifi weekly Walk & Skank night, his productions have made waves in the Scottish reggae scene, crafting mind bending dub with a conscious message and foundation shaking bass. 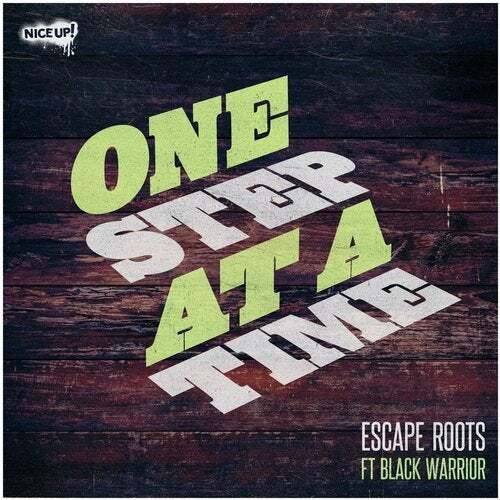 Linking up with Black Warrior, "One Step At A Time" is a digi dancehall bubbler, complete with an instrumentla version and a deeper dub for maximum soundsystem exposure. With an album already under his arm, keep your ear close to the ground for this young producer taking root near you soon!